Our ice cream is always fresh, just made. 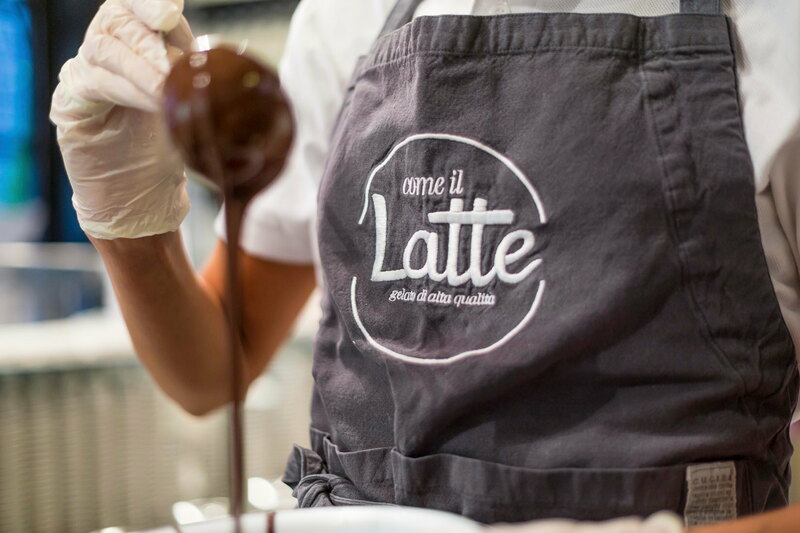 At “COME IL LATTE” we only make the quantity we need for the day, limiting left-overs and avoiding any change in the flavour and quality of our ice cream. In fact, freshness is one of the distinctive qualities of “GOOD ICE CREAM” because it enables you to taste and recognize the flavour of each single ingredient with a well-balanced mix of sensations that satisfy your palate straight away. The fresher the ice cream, the better its flavour and texture. In our laboratory we work like a kitchen in a really good restaurant, producing the quantity required for the day. If any flavour finishes during the day, we make it again according to our needs. Our laboratory operates continuously with the aim of minimizing leftovers and always providing freshly made ice cream. 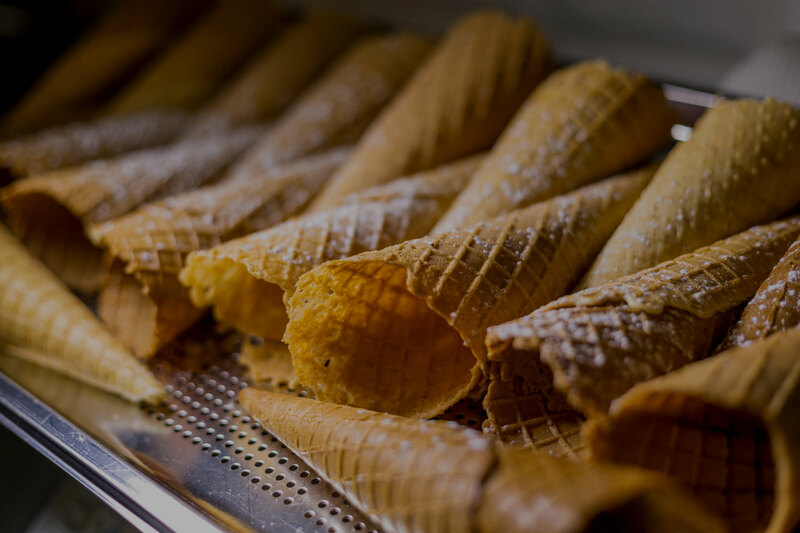 In order to preserve the quality and flavour of our ice cream, we use a counter with wells protecting it from light and air so there is no risk of oxidising or change in taste and texture. Our ice cream always stays soft and easy to serve. 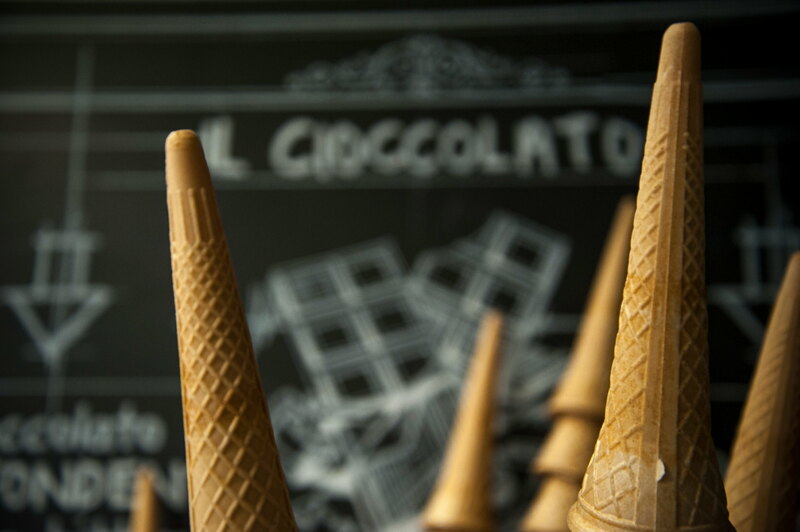 We make our ice cream with natural ingredients properly dosed to allow you to clearly perceive the flavour. It does not contain hydrogenated fats, preservation additives, colour additives or artificial antioxidants. Our main ingredient is milk which makes up over 60/70% of ice cream. We only use top quality produce: Milk from the Rome Dairy (“Centrale del Latte di Roma”), organic eggs and seasonal produce. 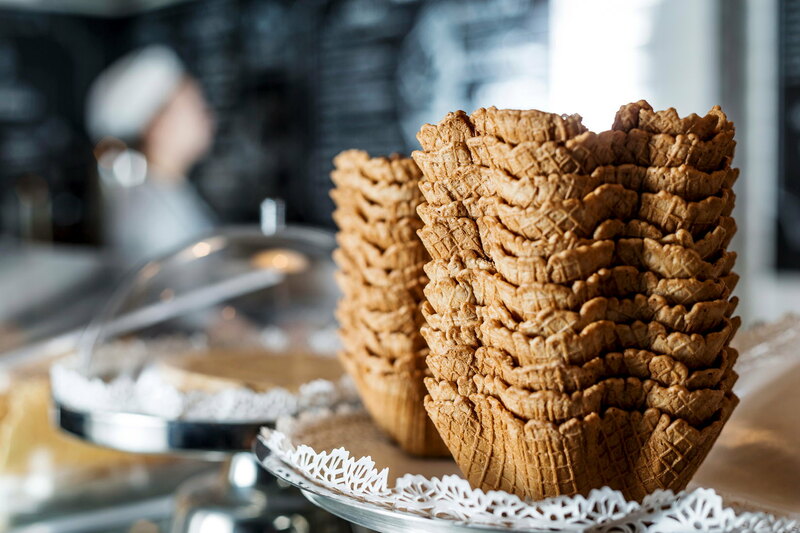 We select the best varieties of ingredients from all over the world, purchased and monitored locally (for example, vanilla from Madagascar, the best varieties of cocoa from South America, Pistachio from Sicily, sweet round hazel nuts from the Langhe area in Piedmont, cinnamon from Ceylon, etc.). Moreover, our laboratory produces a variety of pure low fat yoghurt to serve frozen, whipped at the time of serving or with handcrafted cereals, fruit syrups, honey and praline sprinkles. All our flavours are prepared on a daily basis in our laboratory and are all without Palm Oil, colour additives, refined sugar and chemical preservation additives. Our flavours may change every day depending on the availability of the ingredients.